20% Down and an open & active checking account is all that's required to qualify for 12-month storm shelter financing through Survive-a-Storm Shelters. The recent rash of tornadoes that has devastated several communities throughout the Midwest including the town of Marysville, Indiana has left an impression on one South Georgia manufacturing firm. Survive-a-Storm Shelters president Lucas Stewart walked through his plant over the weekend asking workers if they would be willing to put in some extra time to ensure that the company meets the growing demand for storm shelters after last year's violent storm season and an ominous start this year. "The amount of devastation is just overwhelming. I've personally traveled to many of these affected communities, and I've seen the extent to which lives are unnecessarily ruined. Losing a home is a setback. But as the father of three young children. Well, I just don't know how someone bounces back from something like that." Mr. Stewart became concerned last year while traveling throughout Tornado Alley as he and his disaster response team encountered hundreds of families who simply could not afford to purchase a storm shelter. "A good, quality storm shelter is not inexpensive. They're made out of steel and designed to take a beating. And you want them to be there when you need them, not full of water or all cracked-up, as can happen with the ultra-cheap storm shelters that we've seen pop-up over the last year or so. The problem is that not everyone has several thousand dollars laying around. Especially in this economy." So what to do? 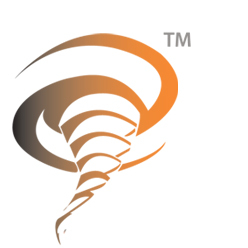 Survive-a-Storm Shelters found a lending source which is willing to underwrite storm shelter loans for individuals without even performing a credit check. "We convinced them that this is just the right thing to do," said Mr. Stewart. Survive-a-Storm simply collects 20% down via check and puts the customer on a 12-month payment plan to payoff the balance. The program covers storm shelters and safe rooms of up to $5,000. The program can be used on more expensive shelters, but the customer is required to come up with 20% plus any balance over $5,000. According to Todd Vanderbeek the company's controller, "The response has been overwhelming. We received an application this weekend from a woman who has been worried to death about not having a storm shelter. She has a heart condition, and she's scared that she won't be able to get away from her home in time if a tornado approaches. She was in tears as she realized that she would finally be able to afford to install a storm shelter." The company is also critical of the FEMA Hazard Mitigation Grant Program administered through the states. According to Mr. Stewart, last year the company's field support teams encountered dozens of individuals who had been approved for the grants which paid for up to 75% of the total cost to purchase and install a storm shelter but who were nevertheless unable to take advantage of the program. "You would think that someone would consider the implications of a program like this on lower income residents. In order to qualify to receive reimbursement under the program, applicant had to first go into pocket for the entire cost of their storm shelter. That's just absurd. The people who most need help are the ones who are excluded from participation in the program." Survive-a-Storm Shelters plans to continue its program as long as funds hold out, but Mr. Stewart cautions that the program is limited by the tolerance of the bank that is underwriting these loans. In order to qualify for the program, applicants need evidence an open, active checking account from which payments will be automatically drafted each month. Anyone interested in purchasing a storm shelter through this program may contact Survive-a-Storm directly at 1-888-360-1492 or visit their website at http://www.survive-a-storm.com. There are no income limitations on this program.